In your successful wealth journey, the right financial calculator, tool, or resource can be indispensable in making optimal decisions and gaining the peace of mind that you’re on the right track. As A First Generation Millionaire, I’ve spend hundreds of hours using online tools to manage investments, project results, evaluate and compare options, model what ifs, monitor credit, check for signs my identity was stolen, and learn more about the millionaire world. Fortunately, there’s never been a wider selection of great options available, and many are free. The best financial calculators, tools, and resources fall into 6 basic categories. The first is a general financial calculator. These can be valuable in modeling financial options and making key financial decisions. What’s powerful is that once you enter your data, you can easily change inputs to model what ifs. By changing time, interest rate, and monthly payments or income, you can quickly see the impact of these levers. The second is a retirement financial calculator. Although they can be included in the first category, we believe they belong on their own due to the complexity of inputs for retirement planning. There’s a wide range available, from simple to sophisticated, and they don’t need to be used just for retirement. We like to think of the most important goal as that of reaching your Financial Independence Day, where you’re no longer dependent on generating income from your career or business, as your investment returns cover your Burn Rate and more. For some, financial independence and retirement are one and the same. The third is credit monitoring tools. Your credit score is a valuable asset and it should be nurtured, protected, and monitored. At minimum, you should be retrieving the three credit reports you get free annually, by law. We suggest being even more proactive and choosing a credit tool that at least gives you monthly reports and monitors for potential identify theft. Fourth is money automation tools. In the last few years, there’s been an explosion in great apps to help you automate budgeting and managing your money. For some, these apps completely revolutionize their money management, removing the effort of using manual means, and giving a real-time view of balances. Others will avoid these tools due to the depth of visibility and access to your data the app needs to function. Either choice is fine, it comes down to what you prefer, provided you have a methodology to actively manage your finances. The fifth category is investment evaluation tools. 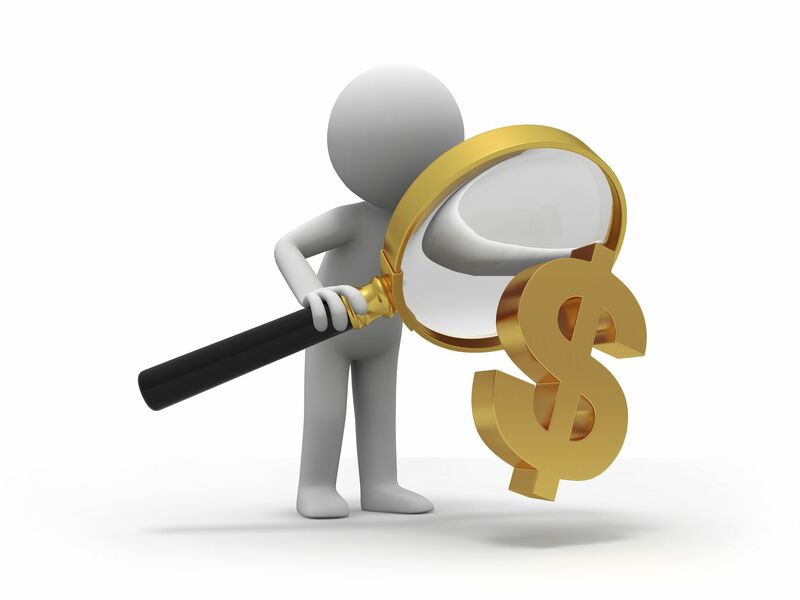 Before you buy a stock or other widely traded financial instrument you must always do your due diligence. This category is wide with many options. The right ones for you will depend on which criteria you use for making decisions, and what type of investments you favor. The final area is for education and entertainment. It’s what we call millionaire facts. Things like updates to how many millionaires there are. Their habits and patterns. Their lifestyle. Human nature involves some form of benchmarking, and these resources can be entertaining. You may also pick up some important tips from fellow millionaires. Check back frequently since as we discover a new financial calculator or useful tool, we will amend or change our list. Consistent with our Terms of Service, we make no claim these tools will work or are suitable for your specific needs. Our guiding principle is that your right financial answers are as unique as your DNA, so you are in the best position to determine suitability, but we provide a starting point in your search for the best financial calculators, tools, and resources. Don’t miss out — receive our FREE weekly Must Read articles on building wealth the minute they’re published! There are a wide range of free calculators for use on general financial topics like car loans, mortgages, budgeting, credit card payoff, rates of return on investments, emergency funds, and other important topics. Yahoo! Finance Calculators They offer a wide range of easy-to-use calculators that can provide fast answers. Bankrate Calculators Full range of tools with crisp and intuitive interface. FinancialMentor Calculators In addition to standard calculators, they go deeper in some areas, offering a total of 80 calculators, which may be helpful for those who are looking for more in-depth modeling. There are many free retirement calculators available, ranging from the simple to the sophisticated. The right choice depends on whether you’re doing basic modeling or developing a highly detailed plan with contingencies. One feature that’s useful for when you’re in the final phase of your analysis is to use a tool that incorporates simulations of various economic scenarios. This feature gives you a range of outcomes and probabilities which is helpful, as it’s almost certain that assumptions today will prove to be at least partially inaccurate 10 or more years out. Vanguard Retirement Calculator This is a straightforward tool that requires 8 key numbers and uses sliders to input the values. It’s great for fast, at-a-glance answers. FIRECalc Retirement Calculator This calculator is among the more sophisticated for creating various economic scenarios, using real historical data to pressure test your assumptions. You can even test if your plan would have survived the Great Depression! FinancialMentor Ultimate Retirement Calculator Their ultimate calculator has some unique features, including the ability to input multiple income streams, and you can print out your results. Your credit is a critical asset in building wealth. The interest rates you’ll pay on a new mortgage, credit card balance or other new loans, the cost of auto, home, and life insurance, and even your ability to get a job, may all depend on your credit score. A top tier credit score can save you tens or even hundreds of thousands of dollars over your financial life. Given its wealth importance, you should closely monitor your credit reports for accuracy and any indication that identity theft may have occurred. Before you commit to a paid tool, be sure to check with your bank, credit union, or credit card issuer as some offer discounted or even free services, especially to high net worth clients. Also, if your credit card data have been breeched, the party that issued your credit card often offers free credit monitoring and identity theft protection for a period. Finally, if you’re monitoring credit card and bank transactions daily through a financial app, you’ll be able to spot suspicious activity in any of your accounts almost as quickly as an identity theft monitoring service. Free Annual Credit Report Tool This is the site for the free annual credit reports from TransUnion, Equifax and Experian that you’re entitled to by federal law. You can pull all three at once, or you can request a different one every four months in order to stretch your benefit across 12 months. Credit Karma This site provides free credit scores and monitoring of your TransUnion report, as well as alerts to any changes. There may be offers and upsells to premium services, but the base service is free. Quizzle They offer a free Equifax credit report every three months, and a free VantageScore credit score at the start. Premium plans are also offered, but the basic service is free, and no credit card is required. The power of money automation tools is that once they’re set up, the good ones can provide real-time visibility to your financial status across all accounts and make depositing and transferring funds, and in some cases paying your bills, as simple as swipe of your finger. One of the biggest barriers to truly changing financial behavior, especially when it comes to building savings, is the weekly decisions that one must make to direct income into short and long term savings. The inertia of past behavior, which may favor spending versus saving, is sometimes too much to overcome. With many money apps, the routing of your incoming cash can be set up to occur automatically. Once in place, inertia becomes a force that’s in your favor. Bill are paid on time and automatically, short and long-term savings grow automatically, and month by month, you get closer to your financial targets. There are a variety of great free tools. The right ones for you will provide the strongest functionality in the area that you need it the most and will display your data in a way you prefer. Be careful to select an established provider that has a history of strong security. You’re entrusting a company to protect a degree of consolidated financial data that exists no where else in your financial life. The trade off for the risk is convenience, and maybe even the motivation to stick with your goals. The best companies are transparent on how they manage and protect your sensitive data and what features are included in the free version. Read the fine print of the user agreement, choose thoughtfully and carefully, and then monitor all of your accounts for any unusual activity. Mint It’s hard to beat Mint’s functionality, positive ratings, and price, given it’s free. Functions run the range from budgeting, bill paying , and money management, and they even throw in a free credit score. The site is optimized to function well on all screen sizes, from desktop to mobile. The interface is attractive and easy to use, set up does take some effort because of all the functionality, security policies are clear, and Mint is backed by Intuit. LearnVest The strength of the free app that LearnVest offers is on the budgeting side. One nice feature that’s not available with Mint is that you can enter account data manually if you prefer not to link accounts to the app. They also offer financial planning services for a fee, so if you’re inclined to use those services, the free app can be a good starting point. Also, they’ve recently been acquired by Northwestern Mutual, so it’s likely their tool set will expand. The current drawback is that the app does not pull in your investment accounts. Mvelopes This is also an app that focuses on the budgeting side. One of its key strengths is that its based on an ‘envelope’ system of managing money, where your budgeting and spending is set up by category. Like Mint, it will synch with your financial accounts. The base version is free, with paid upgrade available. The ideal tools for you will depend on what instruments you typical invest in, and your evaluation preferences in making investment decisions. Many online brokerages have excellent tool sets for their clients, so that’s the first place to look. There are also many strong tools available for free. The most robust are focused on U.S. stocks, given that there’s significant data available on publicly held companies. Thus our focus is on the best that’s available for evaluating stocks. If your investment activities are in a narrower segment, such as options or currencies, or your investment style is high frequency trading, there are also many excellent tools you can find with a simple online search. Also, if you have a substantial portfolio, it may be worthwhile to invest in paid tools and research when making certain decisions. Yahoo! Finance It’s a true financial portal and a great resource for accessing a wide range of information on stocks. Everything from top level summaries, to key metrics, public filings, basic price charts, price history, and a host of other data are available. It offers something to satisfy a wide range of investing styles. And the message boards can be quite entertaining, provided you treat them as nothing more than entertainment. StockCharts If you are a technical investor, StockCharts offers one of the most robust tool sets available for charting stocks. Their free version provides many indicators, and various membership levels add useful functions and tools. Their charts are frequently used by major financial publishers to show stock activity. Zacks Stock Screener For those who like to select potential stocks by using screening tools, this one is among the best free screeners. It provides the option to use over 100 different metrics, and you can enter your own values instead of having to use a drop down that uses ranges. As an aspiring millionaire, or maybe someone who’s already there, facts about us can be interesting, even fascinating. If it’s an area of interest, it is helpful to follow a few different sources as there’s often disagreement on key statistics. Part of the issue is that many millionaires would prefer to keep their wealth a secret! Credit Suisse Global Wealth Report This annual report, currently 64 pages, is one of the most comprehensive research studies on global household wealth. Data are available on many wealth dimensions, and there’s extensive historical data and year-over-year comparisons. If you’re deeply interested in credible wealth stats, or need to cite figures from a reliable source, this report is worth review. Spectrem Group They conduct paid monthly wealth research on investors in three categories: mass affluent ($100,00 to $1,000,000), millionaire ($1,000,000 to $5,000,000), and ultra high net worth ($5,000,000 to $25,000,000). While the research is on behalf of their investment advisor clients and is not available for free, they use many of their key findings within their free articles. Also be sure to check out their Millionaire Fact of the Day. The Millionaire Next Door Site Of all the wealth books I’ve read, The Millionaire Next Door is among the top and, if you haven’t read it yet, it should be next on your list. Based on eye-opening research, it’s rightly credited with changing the way we think about millionaires. Sadly, Thomas Stanley recently passed away in an auto accident, but his site remains a great spot for facts and learning, and the blog features some great articles.